Crops early/mid August. 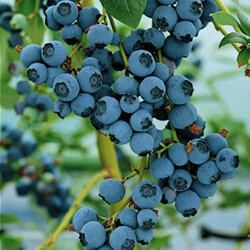 A vigorous, upright bush, bearing very large, attractive fruit of very high quality and flavour. Susceptible to Godronia Cassandrae, but an excellent garden border variety. The fruits ripen in early August.